George Richard Chamberlain (born March 31, 1934) is an American actor of stage and screen who became a teen idol in the title role of the television show Dr. Kildare. In the 1970s, Chamberlain enjoyed success as a leading man in films such as The Towering Inferno (in a villainous turn as a dishonest engineer), The Last Wave, The Three Musketeers and two sequels. 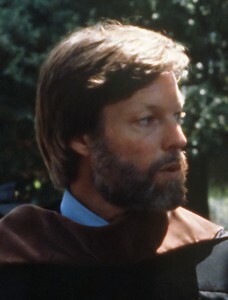 Chamberlain later appeared in several popular television miniseries (earning him a nickname of “King of the Miniseries”), including Centennial, William Bast’s The Man in the Iron Mask, Shōgun, and The Thorn Birds.